In 1943, an American airman participated in the bombing spree of a French town, resulting in incredible devastation. The man wasn’t satisfied, however, so he threw himself out of his plane to add to the damage below. Plunging many miles without a parachute, he did damage, alright, then died – many years later, that is. That town was Saint-Nazaire in western France. Located beside the right bank of the Loire River estuary, to the south of la Brière (the country’s second biggest swamp), and near the Atlantic Ocean, Saint-Nazaire and water go hand in hand. This is exactly why it was so important to Nazi Germany. When Hitler started WWII in 1939, he was unstoppable. Despite their best efforts, the British and the French couldn’t hold the Germans back. On June 17th, 1940 about 9,000 British Army soldiers hopped aboard several ships docked at Saint-Nazaire with the Germans hot on their heels. Most escaped, save for the RMS Lancastria, which was sunk by German bombers at the cost of some 4,000 British lives. For the residents of Saint-Nazaire, however, far worse was to come. Because of its access to water, the Germans decided to make the town a major naval port, which included a heavily fortified U-boat base. From Saint-Nazaire, German ships and submarines could wreak havoc on British supply lines, and was why Britain had to take it out. On March 28th, 1942 the British launched Operation Chariot, successfully damaging Saint-Nazaire’s dry dock and keeping it non-operational throughout the rest of the war. So that prevented large German warships from using the town, but not the dreaded U-boat pens. Aerial bombardment was risky because the Germans protected the town with highly-effective surface-to-air and air-to-air defenses. As such, the Allies called Saint-Nazaire “Flak City” because of all the stuff that was thrown at them from the ground and from the sky. Not that it ever stopped them. On January 3rd, 1943 the United States Army Air Forces (USAAF) launched its sixth bombardment of Saint-Nazaire, hoping to finally take out its U-boat base. 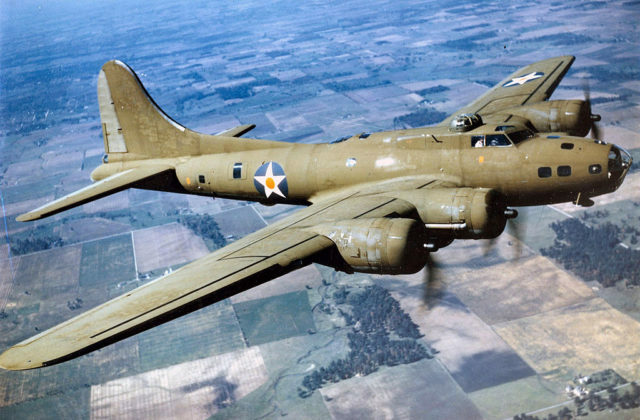 It was led by Colonel Curtis LeMay, and involved a force of 85 Boeing B-17 Flying Fortresses. Among them was the B-17 #41-24620, nicknamed Snap! Crackle! Pop!, which had a remarkably lucky man on board. That man was Alan Eugene Magee, born on January 13th, 1919 in Plainfield, New Jersey. As soon as he heard of the attack on Pearl Harbor, Alan joined the USAAF, which was how he ended up as a staff sergeant with the 360th Bomb Squadron of the 303rd Bomb Group. 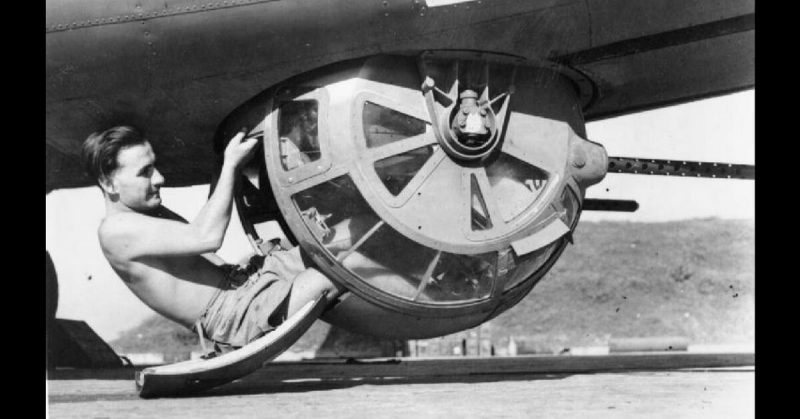 Standing 5’ 7” tall, Alan was assigned to the ball turret – a spherical Plexiglas compartment beneath the plane which contained two heavy machine guns. Though it provided a magnificent view when in flight, it was also the most vulnerable part of the plane and the first thing the enemy targeted. Worse, Plexiglas offers no protection against bullets, whatsoever. Because of the need to accurately target the U-boat pens and to minimize civilian casualties, the air raid had to take place in broad daylight. Unfortunately, it also left the USAAF even more vulnerable to enemy flack. Finally, there was the matter of intel. Earlier reconnaissance showed that torpedoes had been stacked atop the U-boat pens. The thinking was that if they could hit those, then the damage would be even greater.